Though the fishing season never really ends for me, the first deep freezes and snows of the year have a way of asking us to look back on the year that was. This year I spent some real, quality time with a few different pieces of gear. In this week’s installment, I’ll highlight some of those pieces that really stood out and made a difference not only in my fishing, but in the overall experience of my time on the water. First on this list hast to be the SmithFly Digi-Pack. No doubt by now you’ve seen evidence of the SmithFly system’s modularity and reconfigurability all over the blogosphere. As someone who shoots with a DSLR or nothing at all (go big or go home), the Digi-Pack has really changed the way I look at photographic opportunity on the water, in the water, and surrounded by water (snow, rain, sleet, you name it). 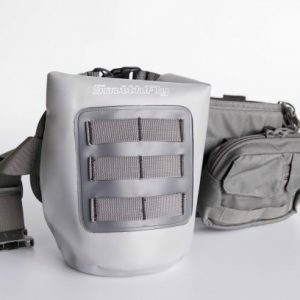 What the Digi-Pack provides is a 100% watertight compartment from which you can “draw” you camera in a matter of seconds. It’s allowed me to be a serious angler and a serious photographer at the same time. Perfect moments—those crucibles of light and subject and vantage point—are fleeting on the river. A cloud passes over the sun, the boat slips downriver, the fish comes unpinned. With the Digi-Pack you can fish the way you want to fish—without thinking about destroying your camera—and still be ready for meat-and-potato shots like this one. I demoed a few rods this year and two in particular forced their ways into my permanent quiver. The first was Winston’s BIII-SX 8-9, a faster, stouter version of their BIIIX series. Before using this rod I was curious to see how that classic Winston “feel” got translated into a heavier, faster action rod. I decided to baptize the rod with fire—and ice. It’s first outing out of the gate saw us throwing streamers the size of an average human forearm on 350 grain sink tips (in our case, SA’s Coastal Express) to January post-spawn brown trout. I was definitely pushing the boundaries of an 8 weight with this set-up, but the BIIIX 8-9 handled it. That said, I see that application as the upper limit of the rod’s range. It was much happier with a 300 grain SA Wet Tip Express and 7-8 inch flies. In either case, it did pretty good on it’s first outing. Where this rod absolutely crushed it was in throwing air-resistant topwaters on a floating line. I spent a good portion of the summer casting large smallmouth poppers by day and large mouse patterns at night on an SA Magnum Taper, and have to say it was the most pleasurable bug and furball launching I’d ever done. The lightness of the rod and the feedback that “Winston action” allowed me to put a subtle but important touch on even my longest casts. If you watch quarterbacks like Peyton Manning or Aaron Rodgers, you know that touch is that magical extra something that they give to or take from the ball with their fingertips at the very last second. Fishing topwaters in rivers can often be a game of inches. On one sunny afternoon, the fly had to land softly, and it had to do so not next to the bank, not close to the bank, but such that the curved of the hook “ticked” ever so slightly, the rocky bank. This rod made popper fishing with big blockheads feel like dry fly fishing. I don’t believe there’s a better topwater smallmouth rod out there. 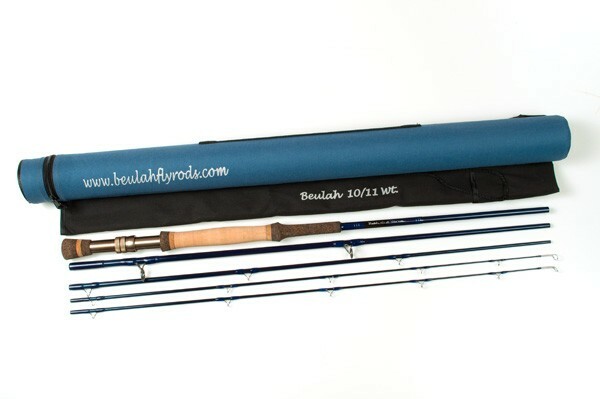 Another incredible rod with an entirely different set of applications was the Beulah Blue Water Series 10/11. I was introduced to this series by musky maestro Chris Willen, and it’s become my go-to and favorite musky stick. This rod was born to work. Hard. It’s got reinforcements fore and aft in the form of an extra tip and extended cork handle. That tip is prime for fearless dredging and figure-eighting. The first time fishing a particularly stained U.P. musky river, I was able to determine both the depth of the water and type of substrate by plunging my rod down to the bottom. I was also able to dredge like nobody’s business. In the extra cold fall weather it helped to jam that rod to the bottom in 8 feet of water, and strip extra amongst the walleye and sucker the late season muskies were feeding on. Get your timing down and this rod is an absolute cannon. It’s worth noting that heavyweight rods in this category feel considerably lighter throw a day’s casting when properly counterbalanced. The Ross CLA 5 was a peanut-butter-and-jelly level quality marriage with the Beulah 10/11. 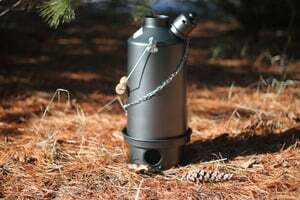 Last but certainly not least was a bit of gear that has become a regular third man on my raft, the Ghillie Kettle. The Ghille is so old school and traditional it would be right at home on a handmade Au Sable boat floating a trio of anglers with cane rods and silk lines. But it’s so smartly designed and unbreakably built that it’s perfect for any modern-day voyage. It’s a bizarrely brilliant idea, and one made by anglers (in this case, 19th-century tea-craving Irish anglers) for anglers. I say bizarre because it’s basically a kettle with a huge, gaping chimney passing right through it’s gut. Water is held in the walls of the chimney, which means all the water in the kettle is coming into direct contact with a heat source (as opposed to just the bottommost layer of water in a pot). This thing brings water to a boil fast. But more importantly, the ritual of making a small fire is a very welcome creature comfort while steelheading in the type of weather we’ve been clobbered with lately and, odds are, will continue to be clobbered with for months to come. Yes, a thermos will keep your drink hot all day. But there’s something about making a little fire that’s so very heartening on a winter’s afternoon. Plus, any remaining embers can be used to actually cook something. It’s distributed by the guys at the Old Au Sable Fly Shop in Grayling, Michigan, so you can feel good sending your holiday green to one of the fishiest towns in America. You’ll only make it fishier. 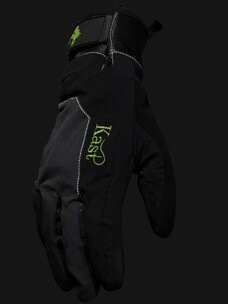 Last but not least, I have to mention the new love of my winter fishing life, Kast Steelhead Gloves. You know how usually you need three pairs of gloves when winter steelheading? And keep them in a ziploc bag? And go home at the end of the day with cold-clawed hands and said pairs of gloves all wet and frozen into dense balls? That doesn’t happen to me anymore. The Kast Steelhead Gloves are waterproof (as in: waterproof-waterproof), ergonomically fitted (you can actually do things like swing flies, handle potato chips, and heed natural calls while wearing them), and are equipped with an outerlayer that is designed (when wet, of course) for safe handling of fish. So there you have it: a few items that might make your time on the water more fun, more sane, and more stylish.